What’s up my Pup Peeps? 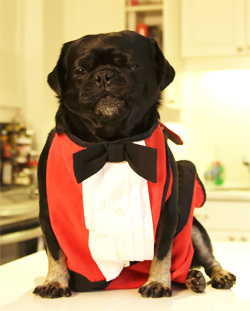 It’s Kilo the DIY Dog here with a big shout out to all my Kitty Peeps. Today’s craft is all about cats…grrrr. I sat down with my Handy Human and we made a whole box full of DIY cat toys for her favourite feline, Bean. Luckily I still got treats and to play with the toys first. 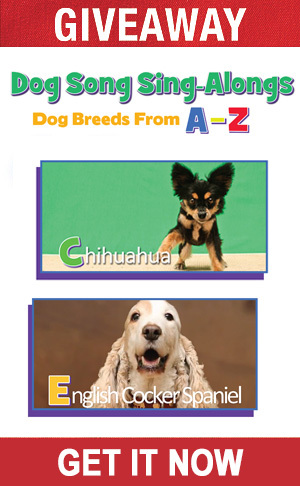 You can watch this handy-dandy video on how to make each of the toys and deck out your toy box to make it extra cool, or you can read the written instructions below. 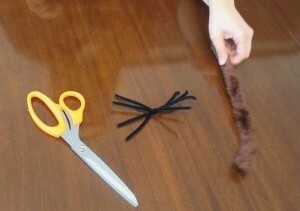 1: Cut two (2) of the pipe cleaners in half. 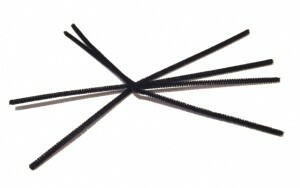 2: Twist the four (4) pieces together in the middle to make eight (8 ) spider legs. 4: Fan out the legs. 5: Bend them slightly in the middle to give your spider knees. 5: Bend the very tip of each leg to make it look like a foot. 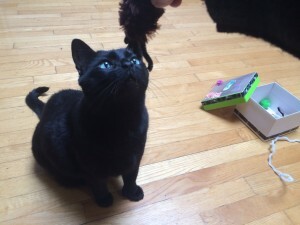 6: Play with your Cat! 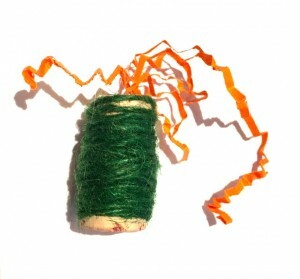 1: Start by wrapping the ends of the two pipe cleaners together so they are attached firmly and make one long one. 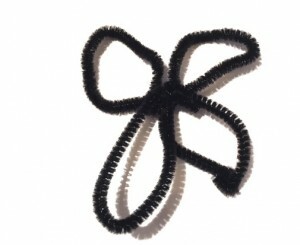 2: Wrap the long double pipe cleaner around a pen or pencil to give it a spiral shape. 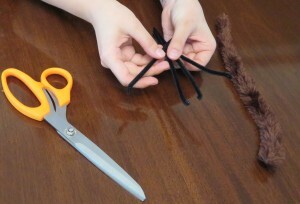 3: Stretch it out a little and attach your pom pom, feathers or anything that dangles to the end securely by twisting the pipe cleaner around. 4: Play with your Cat. 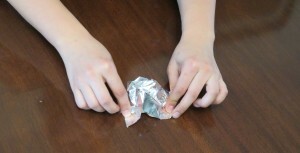 1: Take the piece of tin foil and scrunch it up into a ball. 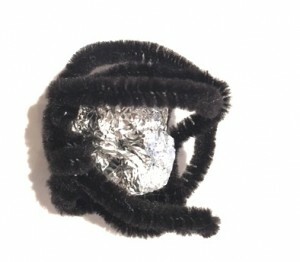 2: Use one or two pipe cleaners to wrap loosely around the tin foil ball like a cage. 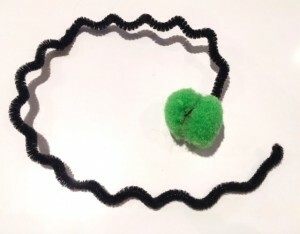 3: Do this by making loops in the pipe cleaners and weaving them together. 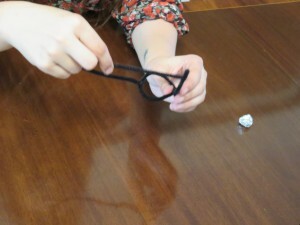 4: Attach the loops of the cage together in a few points so the ball won’t fall out by twisting together the pieces. 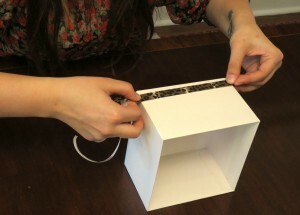 5: Close the holes by just adjusting where the pipe cleaners sit around the tin foil. 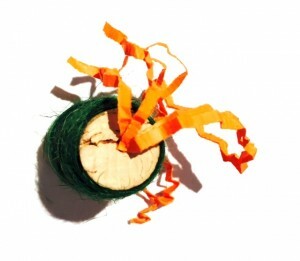 1: Take the cork which may already have a hole in the end from an opener (if not, get some help to make a small one with a safety pin or opener) and use the tip of a pen or a pencil to push the ends of your feathers, string or paper in as deep as you can. 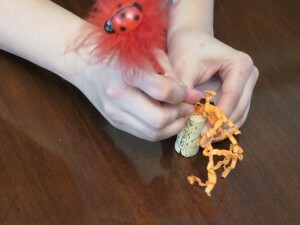 2: Cover your cork with string by just wrapping it around the whole thing and tucking in the end. 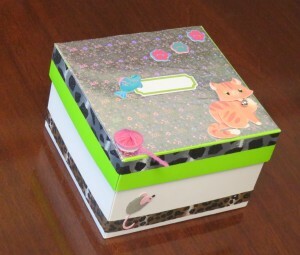 Things you need: A Box with a Lid, Decorative Tape, Stickers, Label, and any other Decorations you want. 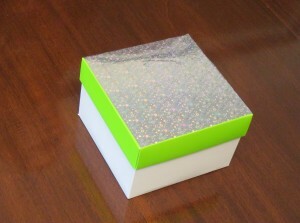 2: Decorate your box! We used a sheet of glittery tape for the top of our box, stuck some cheetah print tape on to dress up the sides and then some cute cat stickers to give it that extra Pop! 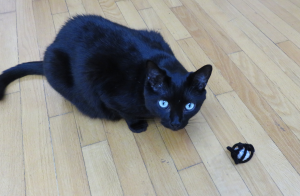 Never leave your cat unattended to play with small toys, especially ones with string or bits dangling off as swallowing these can be dangerous. These are so much fun! My kitties would love them all. 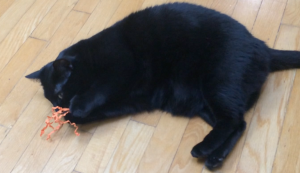 They play with pipe cleaners all of the time. 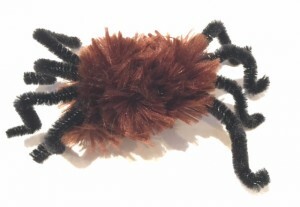 I think the spider would be really popular with my cats. 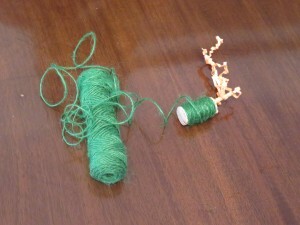 If I may offer a suggestion, please be careful with the string on the mini-cork scratch toy. It is a great idea, but you don’t want the string to come off. If a string is swallowed by a cat, it can get tangled in the cat’s intestines and cause serious problems. As long as the string is well attached, there should be no problem. It was so nice of Kilo to help make some toys for kitties! Thanks so much Robin. Adding some warnings to always supervise play and make sure to be careful with string. 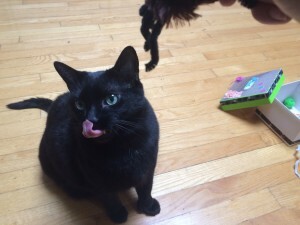 I keep forgetting about how wonderful pipe cleaners are as cat toys. I need to try and make some of these. 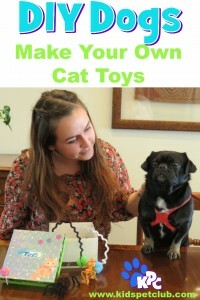 Creating cat toys – a great experience for kids and their companions. Everyone looks like they’re having fun! I use to make stuff like this when I had 4 kitties. Now it’s a dog and … he only loves one toy. BUT I may keep this in mind for kitty birthdays. Aw, these are all super cute and easy to make. I wish I was that creative! These toys are so cute! And so easy to make! I think my cats would love them – going to have to give them a try! Thanks! 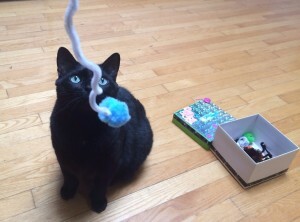 Those are some great DIY toys for cats. My niece would have loved making those for her cats when she was a little kid. I love the site!!!! Well done!